HURST – USA-On Tuesday, Mack Beggs sat in a lounge chair at his mother and stepfather’s house and gave his first extensive interviews since becoming a national news story. 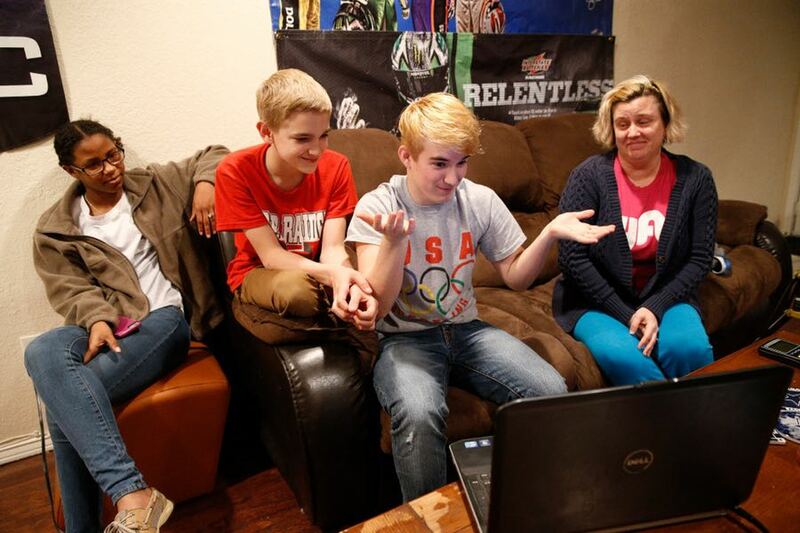 Beggs, a transgender male who won the Class 6A state wrestling championship last weekend wrestling against girls, explained how he screamed whenever he was asked to wear girls clothes and how he was forced to wear makeup while taking dance classes as a youth. “Worst feeling in my entire life,” said Beggs, a junior at Euless Trinity. It started from the time he was three years old, when his mother, Angela McNew, tried to put him in a purple dress. Beggs threw it back. “I don’t wear dresses anymore,” he said. But for Beggs, it wasn’t until he was in fifth or sixth grade that he realized he was different. Beggs dressed like a boy, acted like a boy, and considered himself one of the guys. But despite being a prolific writer since he was young and a member of the gifted and talented classes, he didn’t know how to explain how he felt. One day, Angela picked him up from seventh grade and said they were going to watch something. She wanted him to be honest about how he felt afterward. It was a Katie Couric special on transgender youth. “I was like, ‘Wow, that makes a lot more sense,'” Beggs said. In the years since then, Beggs has embraced who he is. 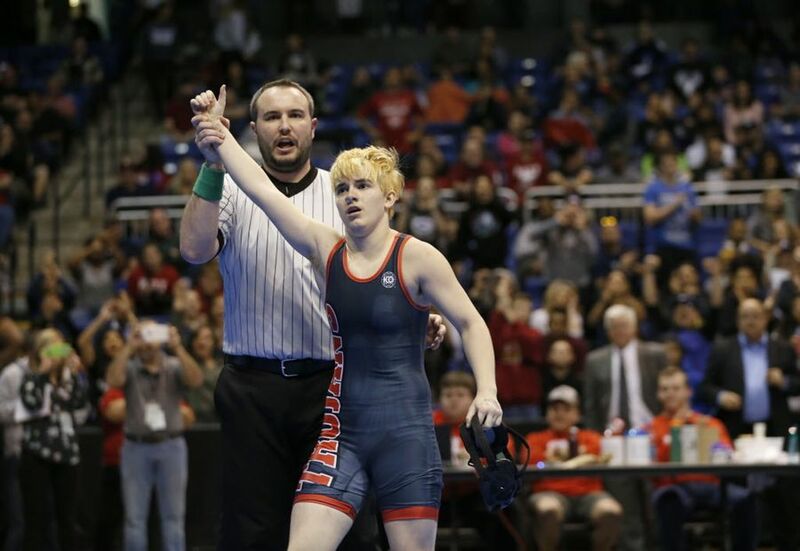 He’s also embraced wrestling, a sport he’s grown to love over the last three years, even as UIL rules keep him from competing in the gender he identifies as. Beggs became a media sensation over the last two weeks as he went on to win the girls 110-pound state championship last weekend. As a lawsuit continues to try to prevent him from wrestling against girls next season because of his use of testosterone, Beggs reiterated Tuesday that he definitely wants to wrestle boys and looks forward to doing so this summer in competitions outside of UIL rules. Beggs also opened up about his past. He said he continued to struggle with gender dysphoria from seventh to ninth grade and it took a toll mentally. 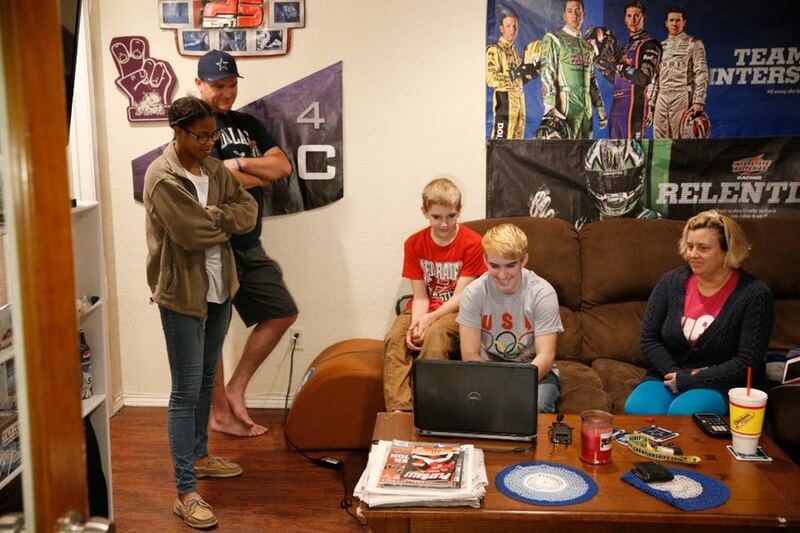 In seventh grade, he spent time from August to November going to a mental health facility in Fort Worth. Eventually he came out of his depression. “I was so glad I got out of that state,” Beggs said. Afterward, Beggs gave himself pep talks, asking if he wanted to be like he was before. In sixth grade, Beggs came out to his close friends. Some understood, others didn’t and stopped talking to him. But Beggs brushed it off and said he had only a couple of bullies at school. Those were dealt with quickly as a counselor or principal got involved. n everything from softball to track and field became singularly focused on wrestling. Around the same time, Beggs had a hormone blocker implanted in the inside of his left arm. While the device stopped estrogen, it also suppressed his testosterone. Early morning wrestling practices and cutting weight took an even bigger toll on his body. Some days he felt like he couldn’t do it. But he wanted to go to state. So when he faced the issue of either wrestling girls or not wrestling at all, he chose to compete. He said his training is why he won and went 57-0 this season — not his use of testosterone. In fact, while his voice has deepened and he’s gotten more leg and facial hair, he’s actually disappointed in how little his body has changed. As Beggs talked Tuesday, he expressed bewilderment at the attention he’s received. “This is nuts,” he said at one point. 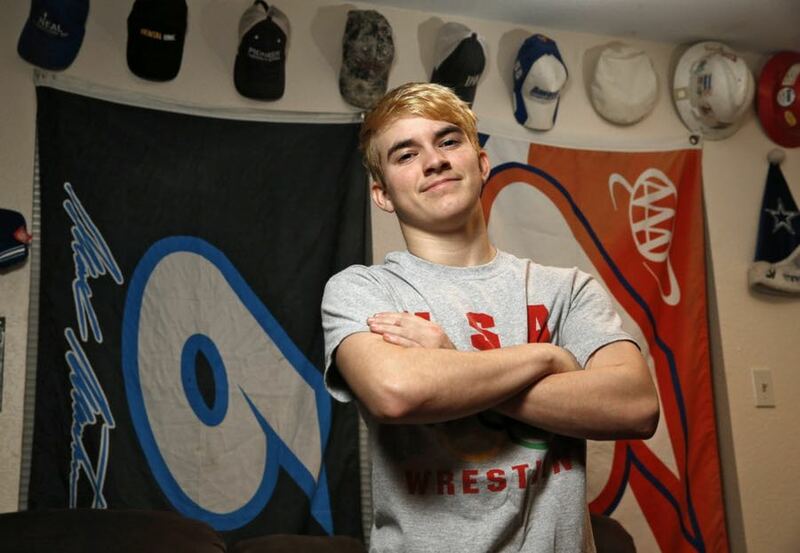 He also expressed excitement at having a chance to represent the wrestling and the LGBT community. He wants to help those who find themselves in a similar situation he was in, those who’ve felt like a lost cause, those still searching for who they are. Beggs is at peace now with who he is. Gender is just a part of that.